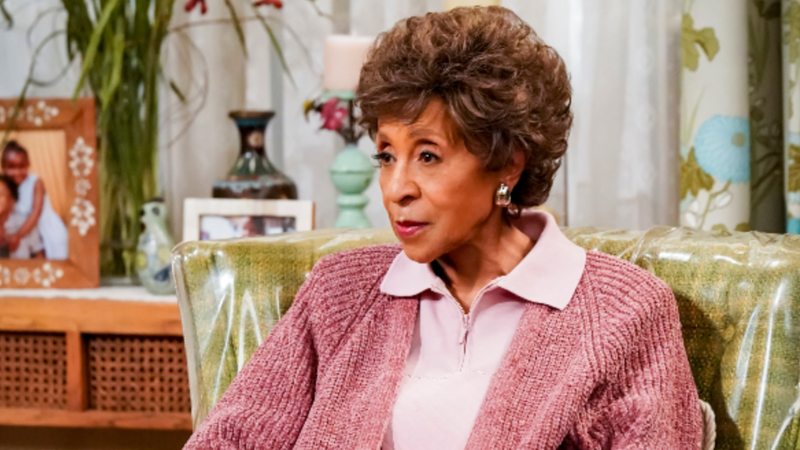 There are several black film and television legends who have seemingly endless IMDb pages, and the incomparable Marla Gibbs is one of them. Her unforgettable roles as Florence (The Jeffersons) and Mary (227) are staples in black television that’ll live on forever even if she quit today. But that’s the thing; she hasn’t. Not by a long shot. There’s no stopping Ms. Gibbs. I had the honor of chatting with Gibbs over the winter holidays, in anticipation of her episode of CBS’ The Neighborhood. Funny enough, the afternoon I spoke with her, I was back home in Chicago—a birth home we share. Hearing the comforting voice of a fellow native warmed me up as she greeted me with a happy holiday. The Neighborhood follows a white midwestern family who moves into a predominantly black neighborhood in Los Angeles—and gentrified shenanigans ensue! The series stars Cedric the Entertainer, Max Greenfield, Sheaun McKinney, Hank Greenspan, Tichina Arnold, and Beth Behrs. “Welcome to the Yard Sale” – Dave convinces Calvin to hold a yard sale, but when longtime neighborhood resident Miss Simpson (guest star Marla Gibbs) makes a purchase Calvin quickly regrets, he enlists Dave to help him get the valuable object back. Gibbs talked about working with what she described as two of her favorite people, Tichina and Cedric, and touched on how much fun she had working with them on this episode. “Change” is a huge theme in The Neighborhood and is apt, given Gibbs’ long tenure in Hollywood. She has been able to witness the ebb and flow of Hollywood first hand over the years. Hollywood certainly doesn’t look the way it did when she first entered professional acting in the 1970s. Our shared Chicago roots are applicable here as well, since—much like every metropolitan city in the U.S.—it is experiencing the complicated relationships of gentrification. Gibbs is from the Bronzeville area of Chicago, so I had to ask—has she been back to the now-very different neighborhood? Gibbs also mentioned how Bronzeville had been torn down (via the destruction of public housing such as the area’s former Ida B. Wells and Robert Taylor Homes in favor of single and multi-family homes from private developers) since she’d lived there. “You really can’t go home because home really isn’t there anymore,” noted Gibbs. Wise words from a wise woman on the impossibility of going back, only forward. Speaking of Gibbs’ future, what type of roles does the actress want, when it seems like she’s already played it all? The Neighborhood airs Mondays at 8/7c on CBS. The “Welcome to the Yard Sale” episode airs tonight, Monday, February 11 at 8/7c on CBS.